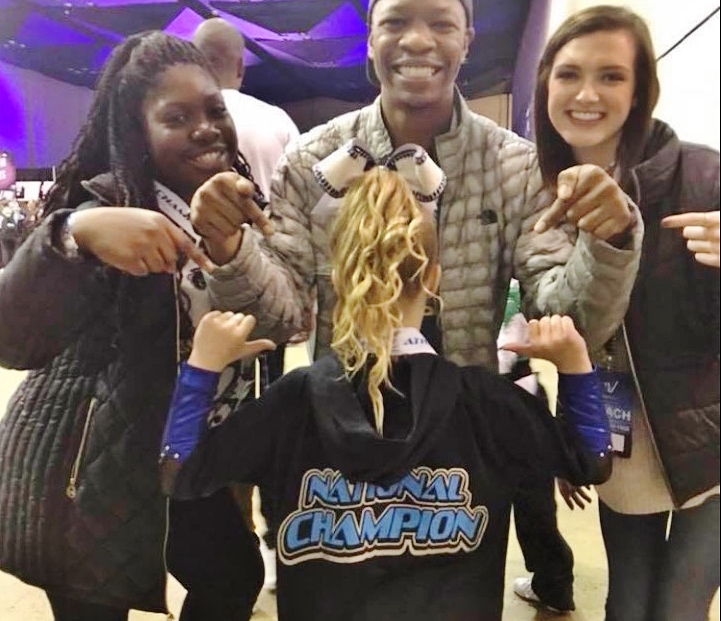 GameTime Athletics All Star Teams competed in the Athletics Championships in Memphis, Tennessee last weekend and came home with trophies and a national championship. GameTime Level 1 team, Blue Stars had an extraordinary day 2 performance and brought home the 2nd place trophy. GameTime Level 3 team, Blue Odyssey once again demonstrated excellent teamwork, overcame adversity due to illness and performed the most inspiring routines gaining the Bronze trophy in a competitive division. GameTime Level 2 team, Blue Reign, exceeded all expectations both days of competition and came out on top of the Level 2 Division as Grand Champions and Gold Champions. They also achieved two specialty awards, Best Stunt and Most Innovative Choreography. At competitions, the teams are divided by age and ability level. The routines are judged by their level of difﬁculty, precision, creativity, and entertainment value.